At last night’s October 8 meeting, School Board President Jeff Basting read a resignation letter from Board Member Kelly Gundlach, effective immediately. President Basting thanked Member Gundlach for her year and a half of service to the Mineral Point community. Gundlach took office in April 2017. The Board will now begin searching for a replacement. 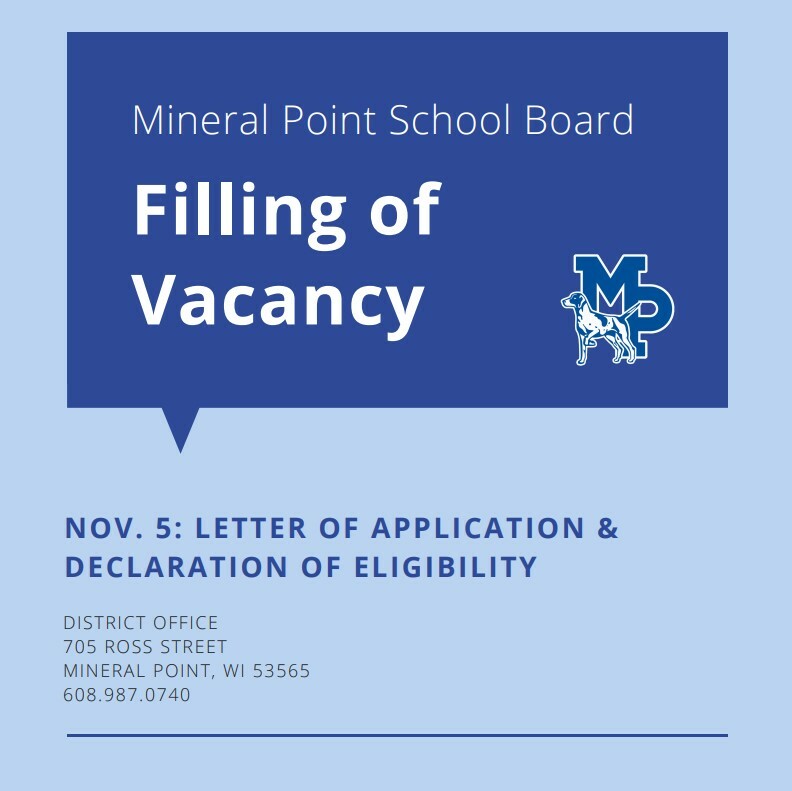 Any qualified elector of the District who is interested in filling the vacancy may submit a letter of application (addressing qualifications and interest) to the office of the District Administrator by November 5 at Noon. The Board plans to consider potential appointees at its November 12 meeting. On or before this date, each potential appointee shall also submit a sworn declaration of eligibility to hold the vacant board seat. This can be done in the District Office at 705 Ross Street.